How Does the Auto-record Feature Work? Pro Broadcasting and Streaming Manager accounts are enabled to automatically record all streams. Each time you stream to your channel, a recording starts. If you stream less than 3 hours, the autorecorded video will be the length of your broadcast. If you stream longer than 3 hours, a new file will be created every 3 hours. 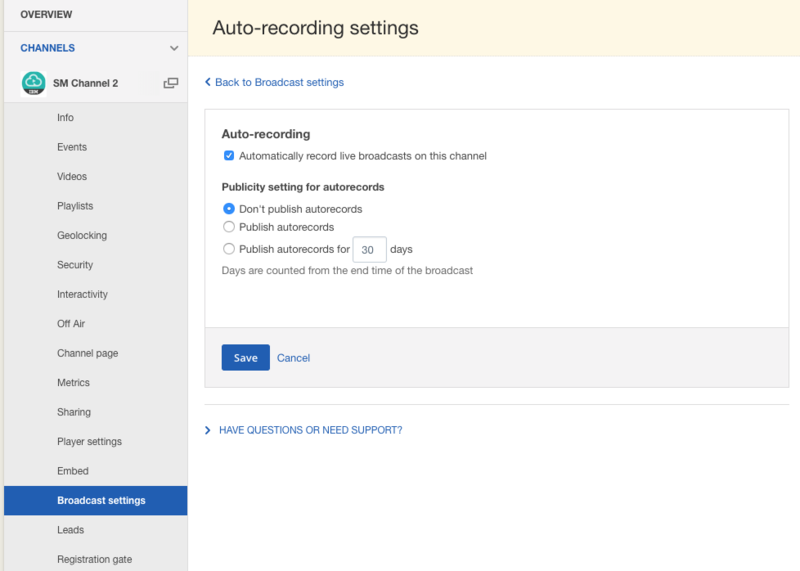 In addition to automatic recordings, you can always start and stop manual recordings using the Start / Stop Record buttons found in the Web Broadcaster, Remote Console, Ustream Producer or the TriCaster Plugin. These manual recordings happen in parallel to the automatic ones so it is possible to create multiple recordings of the same content. 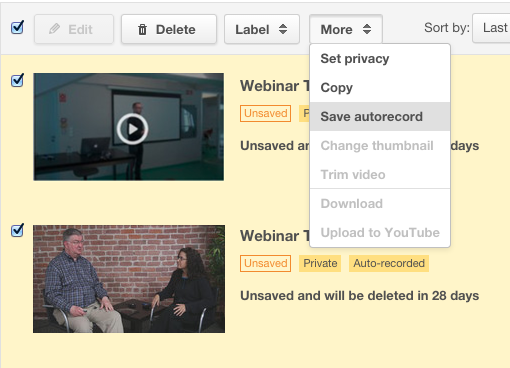 Autorecorded videos are automatically deleted from your account after 30 days unless you take action to save them. Manual recordings are saved for as long as you have your Pro Broadcasting subscription active. On Free Basic IBM Cloud video accounts, manually recorded videos are also deleted after 30 days. There are two potential states for autorecorded videos, Saved or Unsaved. Unsaved videos will display the remaining time before they will be deleted. 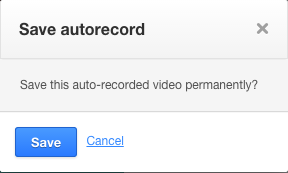 To save an autorecorded video, click on the arrow pointing down on your video, then select Save autorecord. You will be asked if you are sure you want to save the video. Press Save. You can also save an entire page of videos at once by using the select all checkbox at the top of the list and clicking More. Then select Save autorecord. Auto-recording is enabled by default for Pro Broadcasting accounts, but there are cases where you may want to turn auto-record off. This can be done in the Broadcast Settings of the Channel Settings on a channel by channel basis. You can also adjust the permissions of auto recorded videos. Most of the time you want it set to Don't publish as the video may need to be renamed and trimmed. If you want new auto-records to be public you can choose Publish autorecords or Publish for x amount of days. Then click Save.